No one knows smiles better than Tedford Family Dentistry, your caring dentist in Ooltewah, TN. From the moment you walk into our Ooltewah, TN family dentistry, you will be greeted by smiles from our friendly team of professionals. Dr. Tedford and our skilled staff are dedicated to providing patients with quality results and gentle dental care at an affordable price, because the best smiles are the ones on the faces of our loyal and happy customers. "I love Dr Tedford and his staff! They are professional, caring, and very knowledgeable! Everyone in the office is very friendly and always willing to answer any questions!" "We love Dr. Tedford and everyone who works there! Everyone makes us feel so comfortable and it's actually fun to go to the dentist! 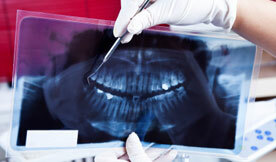 They are great at explaining treatment options and making sure you are happy with your results." Let us know what you love about our practice, leave a review! Please call our office if you have any questions or to schedule an appointment. 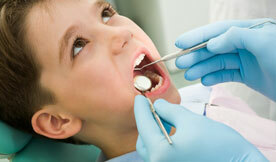 We look forward to providing you and your family with the very best dental care possible. Make an appointment with us and experience our family friendly dental care that's sure to make you smile.